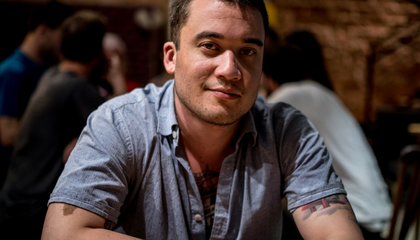 I began working in the industry when I was 17 and I’ve climbed the ranks to become general manager at Dandelyan, where my team and I can serve up to a thousand cocktails in one day! As a bar manager, being a team player is key. I enjoy getting stuck into service with the team and I try to be an attentive and approachable manager that my staff can look up to. We motivate each other, and an amazing team culture is what makes Dandelyan such a special place to work. As we’re part of a hotel, our hiring process is slightly more complicated than a standalone bar. It generally involves an initial interview with me and then a second interview with a member of our HR department, followed by a trial shift so we can see how people interact with the team and their surroundings. When hiring new staff, I look for people who can bring something special to the team and the bar.They must be engaging, switched on and efficient, with heaps of passion and drive. 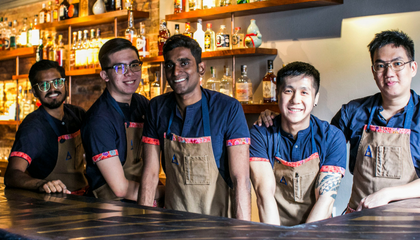 More often than not, team members will have more than one area of responsibility, so they need to be able to work across the bar or the floor to support each other. At Dandelyan, we normally look for a few years’ experience in any area of hospitality and we don’t place too much weight on CVs, as long as they’re neat and tidy and fairly concise. Your CV just needs to get you through the door – the trial shift is your opportunity to show us what you can do. Saying that, if someone lists a dozen jobs in the last 6 months, that’s a major red flag as it shows a lack of commitment. Be humble, enthusiastic and willing to learn, and don’t act too big for your boots. At the end of the day, bad habits can be fixed but bad attitudes aren't so easy! I began my career in hospitality at 14 and now, as a bar manager, I feel it is important to lead by example. My focus is on the team, the brand and setting others up to succeed – the bar needs to be able to function to the same standards even when the manager is not there. When hiring new staff, I look for someone with a great attitude who is humble and motivated to learn, with a constant desire to improve and take advantage of educational opportunities. It’s also important that they are warm and welcoming, as that isn’t necessarily something you can teach. Our hiring process begins with a sit-down interview followed by a trial shift. After that, we may bring you back for a second trial if necessary. 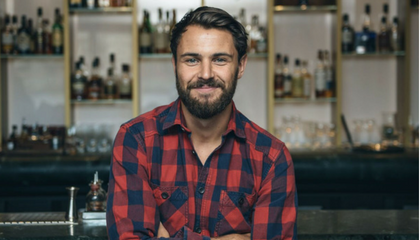 I look for experience within the general service industry and ideally within an established cocktail/mixology programme – three years minimum is preferred but every bar will have their own requirements, so make sure you do your research. 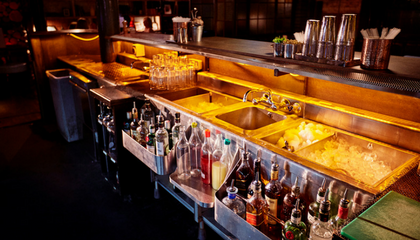 Bartenders should be methodical, able to handle the pressure of the rush and comfortable with crowd control, whereas servers should show rapport with guests and manage the timing of drinks and food. When it comes to writing a CV or resume, make sure everything is clear and well-presented. 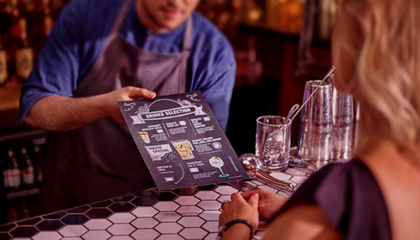 If you’re printing it out, invest in some decent paper and ink, as this shows an attention to detail that translates well to cocktail bars. A structured CV demonstrates professionalism and organisation and shows me at a glance if you have sufficient experience to be eligible for the position. That said, it’s certainly not the most important factor. I always check references and call former employers as some people may interview well and put on a front, so it’s important to know exactly what you are signing up for long term. After gaining experience in some of the world’s most reputable bars, including White Lyan and Operation Dagger, I now manage Native, a new entry on this year’s 50 best bars list. Our interview process is relatively straightforward and covers all the questions you’d expect – what previous experience do you have? What do you enjoy most about bartending? Can you work weekends/evenings? As well as situational judgement questions such as dealing with guests who have had too much to drink or customers who look underage. During the initial interview, we emphasise our ethos and approach as a bar and ask prospective employees about their goals and aspirations to see if they’d be a good fit. We don’t look for people who are “career-driven” in the traditional sense; we look for genuine people who are humble and willing to dedicate time to making their venue a success – even if it means working long, late hours. My approach to hiring staff is a little unconventional – I prefer to start from scratch and hire those without any experience, as long as they are willing and eager to learn with lots of passion and drive to succeed. The trial shift is often a great indication – someone might interview badly but ace their trial shift, so we place a lot of emphasis on this. Looking for access to exclusive content, including tips from industry experts and advice on managing your own bar? 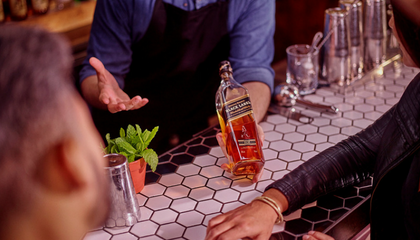 Sign up to Diageo Bar Academy today for unlimited access. 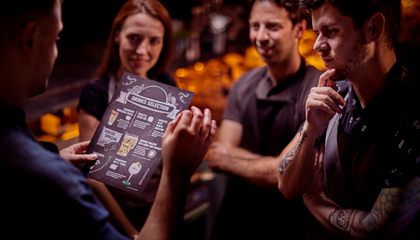 There is a subtle art to upselling and whether you are behind the bar or working the floor, it is a skill that is definitely worth taking the time to perfect. Communicating with your customers and asking the right questions is extremely important in order to create a great customer experience. Providing consistent, first-class service is key to making your venue stand out. Using just a few simple steps, we outline how to start every shift on top of your game.